Is your kid afraid of the doctors? What about dentists? 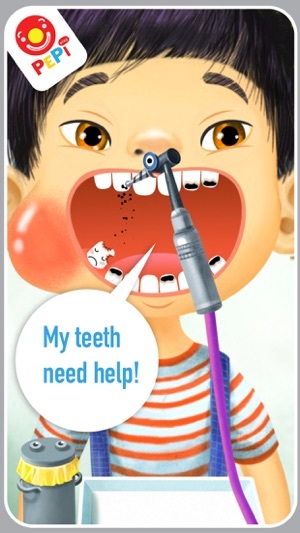 Try a little help from a child-friendly PEPI DOCTOR! 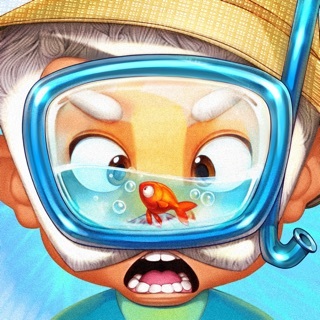 Enjoy this cheerful role game where children play a Doctor and cure three little patients Amber, Eva and Milo. It’s easy and fun to be a Doctor in this game: the player will explore a variety of doctors’ tools and get to cure five different diseases at his own pace. 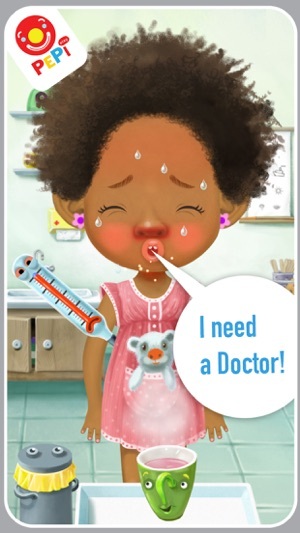 Play PEPI DOCTOR and see how you can help Amber, Eva and Milo who got ill: caught a cold, is sneezing, has a sore throat and running nose, is covered in scrapes or has an aching tooth. What else? 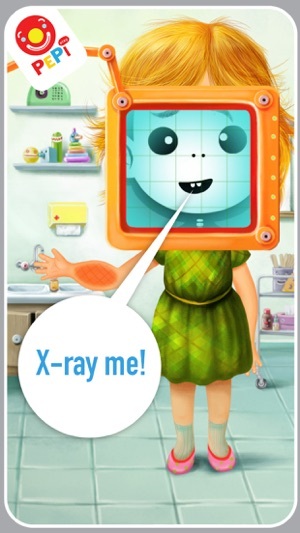 You’ll get to try an X-ray to locate a broken bone! 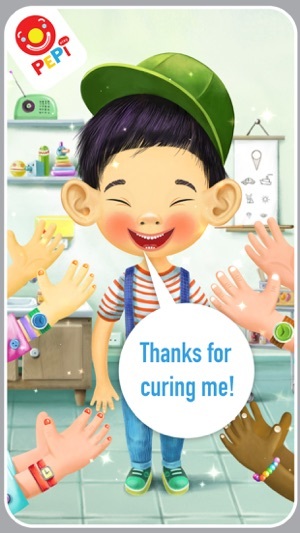 After successfully curing each disease, the Doctor will also get an emotional reward from little patients and receive their smiles and applauds. In addition to all of this, we believe that PEPI DOCTOR also serves as a playful reminder of some hygiene and safe behavior habits. Take up a Doctor’s role, chose a character as well as disease you want to cure, and have a nice play! 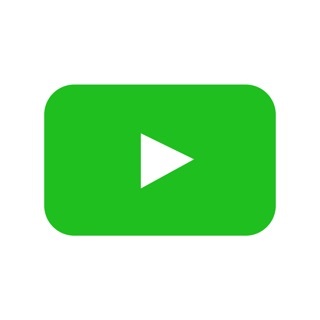 One of the few times i wish there were some in app purchase options for more content. My daughter (3) loves this game, especially after watching doc mcstuffins, but i think she is getting bored of just three characters and the same things to fix. Give us more content please! Ill gladly pay for it! My 3 yr old grand-daughter was disturbed by the graphics. The splinters were so large that she started whimpering and wanted me to turn it off. The tooth abyss is so large and red she didn't want to have anything to do with it. She did however enjoy resetting the broken bones. They were less realistic as they are in Xray form. 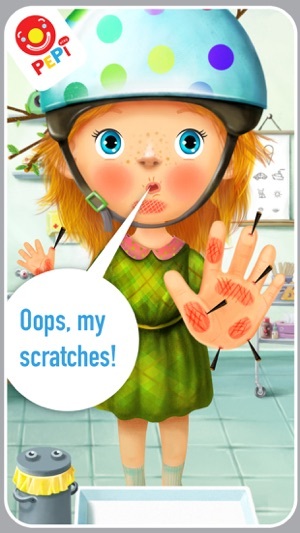 With that said, my 2 year old was not phased by the graphics, perhaps as he has no memories of mommy digging splinters out of his hands, going to the dentist or other scary childhood life event. Good idea but needs a different approach. I vote no on this one.